Part of the switching up the blog, I have decided to feature the cards I make on a Wednesday. (Today it’s a bit late though!) That way I know when they can be posted and if anyone would like (or not like) to see them, they know when they will be posted. This card was for our niece’s birthday recently. 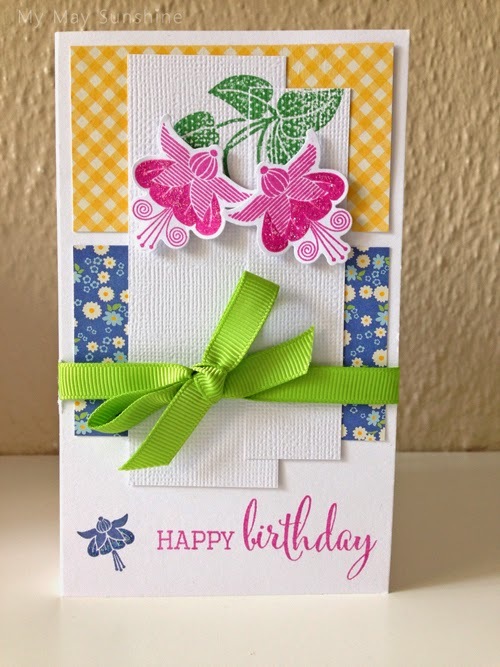 I love the Clearly Besotted Fabulous Fuchsias stamp set and thought I would try it out on this card. I stamped the leaves on the background first and then struggled a little to fit the fuchsias on but it worked. I really like the colours of the patterned paper and the ink and think they go well together. Paper – American Crafts May Berry | Stamps – Clearly Besotted Fabulous Fuchsias | Ink – Memento Rose Bud and Versacolor Night Sky | Ribbon – American Crafts. The next card I made at the end of last year but never showed. 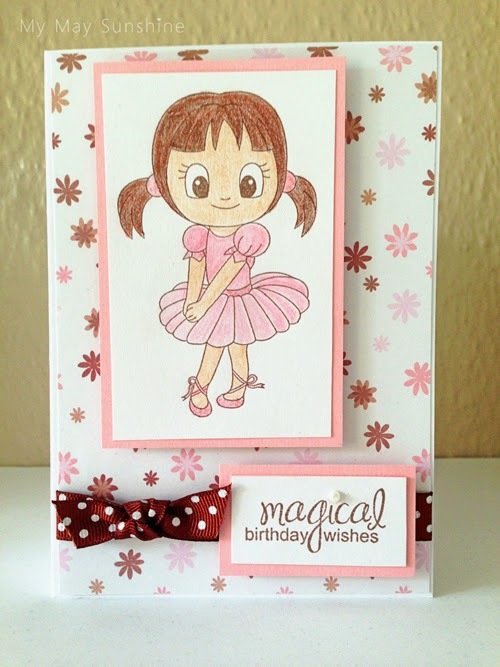 It was for a little girl and so decided to use the Clearly Besotted Ballerina Jasmine stamp. To colour it in I used some chalk pencils. I’m not the best at colouring it in but I think it was OK.
Paper – Forever Friends | Stamps – Clearly Besotted Ballerina Jasmine and Amy R It’s Your Birthday | Chalk Pencils | Ribbon – Hobbycraft | Pearl – Hobbycraft. I still have a few cards that I have made in the last few months and have not shown so will show them in the next few weeks. See you soon.